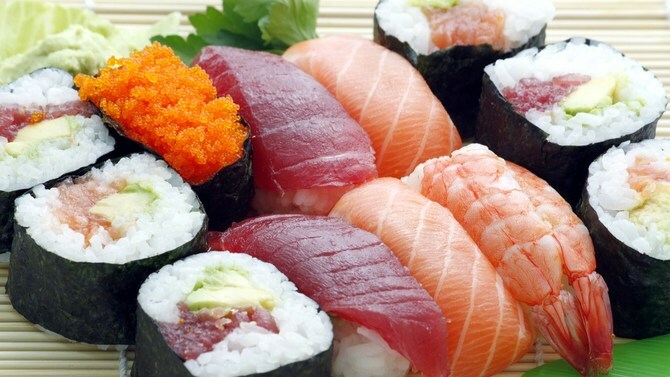 Understandably, there is a certain "ick" factor that comes with eating raw seafood. "Raw" food is seen as a precursor to the final dish. Where cooked food, like chicken parmesan, looks far from the cluck-clucking animal it once was, sushi is often prepared to look, smell, and taste exactly like the ocean swimmers. Raw is welcomed. But just how raw is too raw? In the video below, patrons of a sushi chain in Japan are surprised to find one of their hokkigai (surf clam) sushi dancing around on their plate! It seems to wave feebly from the plate it sits on and nearly squirms off the rice ball when the customer pokes it with his chopsticks; so fresh, it's still moving! The patrons dining at Sushiro, one of Japan's popular and inexpensive kaitenzushi chains -- a type of sushi dining that serves sushi on a conveyor belt -- had other reasons to be caught off guard. The viral video, which has gathered over 4 million views, sparked some debate on Twitter about the preparation of the fish. Users have pointed out that the dancing movements can be a sign of improper sushi preparation techniques, rather than a sign of freshness. However, others have refuted saying if the nerves are still intact, the surf clam must have been fresh. The clam sushi ordered was a "ikizukuri," meaning it was prepared on the premises using live seafood, which suggests that the customer's sushi was extremely fresh. While others are not fully convinced, it is reasonable to doubt that a conveyor-belt sushi chain serving budget-conscious diners would serve such fresh sushi typically found in business casual and upscale restaurants. There is no conclusive way to tell whether the customer's sushi was just super fresh or prepared poorly, but either way the diner ate it anyway and said it was "extremely delicious."